Il y a du sang neuf au temple de la renommée de l'UFC avec l'intronisation des légendes Ronda Rousey, Matt Serra, Art Davie, Bruce Connal et le duel de l'UFC 139 entre Shogun Rua et Dan Henderson passe aux annales. Voici le compte-rendu de la cérémonie. Elle passe à l'histoire de l'UFC une fois de plus! Félicitations à Ronda Rousey qui deviendra la première femme intronisée au temple de la renommée de l'UFC. Ne manquez pas la cérémonie d'intronisation EN DIRECT sur UFC FIGHT PASS – 5 juillet. Ronda Rousey isn’t just the most recognizable woman in the UFC, she is is arguably one of the most recognizable athletes in the world today. It’s no exaggeration to say that Rousey, the former UFC women’s bantamweight champion, has become a global superstar. Since making her UFC debut in 2013, she has emerged as more than the best female MMA fighter in the world: Rousey is now an author, actress, magazine cover model, fashion icon and sought-after TV guest. None of it would have materialized had Rousey not convinced UFC president Dana White to give women a chance to compete inside the Octagon. 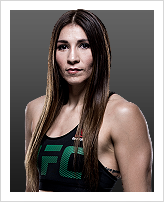 She undoubtedly captured his attention when she won the Strikeforce bantamweight title with an armbar submission of Miesha Tate in 2012, then defended it against Sarah Kaufman later that year. In Nov. 2012, White announced that Rousey had signed with the UFC. 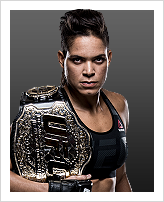 He later crowned Rousey its first women’s bantamweight champ and matched her against Liz Carmouche at UFC 157 in her first title defense. As so many of her other fights have ended, Rousey used an armbar to score a first-round victory. When Rousey defeated Cat Zingano in a UFC-record 14 seconds at UFC 184 – again, by armbar – it marked her fifth title defense. 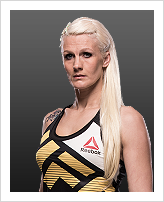 Of her 12 victories, 11 have come in the first round and nine have been via armbar. 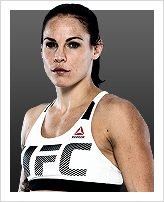 Only one opponent, Tate, has extended her as far as the third round. Rousey was a highly decorated judoka as an amateur and continues to employ hip tosses and sweeps against UFC opponents. She was an Olympic bronze medalist in judo at the 2008 Summer Games in Beijing after qualifying for the 2004 Games in Athens. 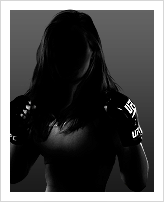 Rousey is also a former junior world champion (2004), world silver medalist (2007) and Pan Am Games champion (2007). Her list of movie credits includes Entourage, The Expendables 3 and Furious Seven. Her autobiography, My Fight/Your Fight, was published in 2015. 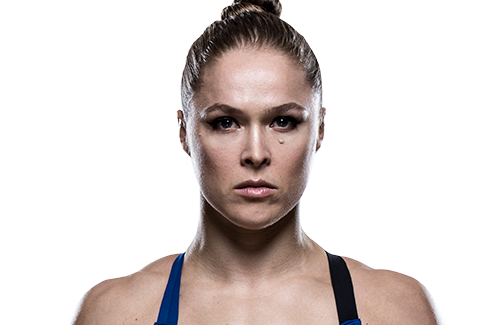 White has called Rousey “the greatest athlete I’ve ever worked with,” a compliment she undoubtedly has earned. When and why did you start training for fighting? I started judo at 11, retired at 21, and started MMA at 22 because I realized I didn't really want to work in a conventional field of work for the rest of my life. Do you have any heroes? FEDOR!!! I would have 57 of his babies if he'd let me. Did you go to college and if so what degree did you earn? I did go to a few colleges and I learned that formal education is not for me. What was your job before you started fighting? I was a bartender, cocktail waitress, canine physical therapy assistant, and I also worked graveyard shifts for 24 hour fitness.